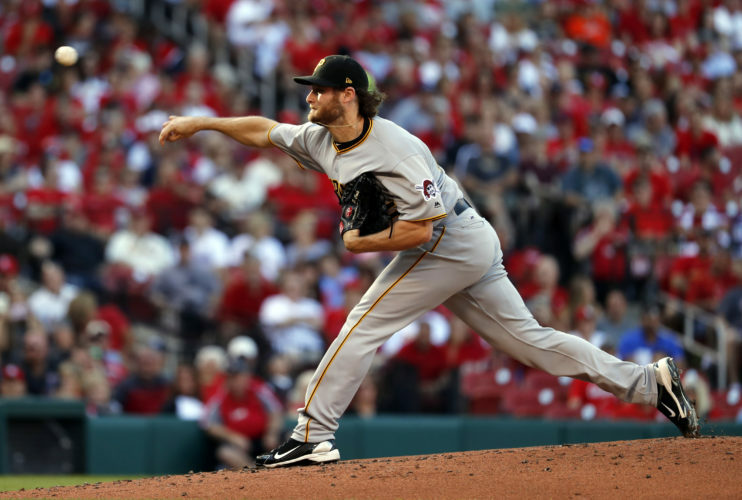 PITTSBURGH (AP) — Gerrit Cole spent the last six weeks stringing together dominant performance after dominant performance with little to show for it, thanks to a Pittsburgh Pirates offense that always seemed to sputter whenever their ace’s turn in the rotation came up. 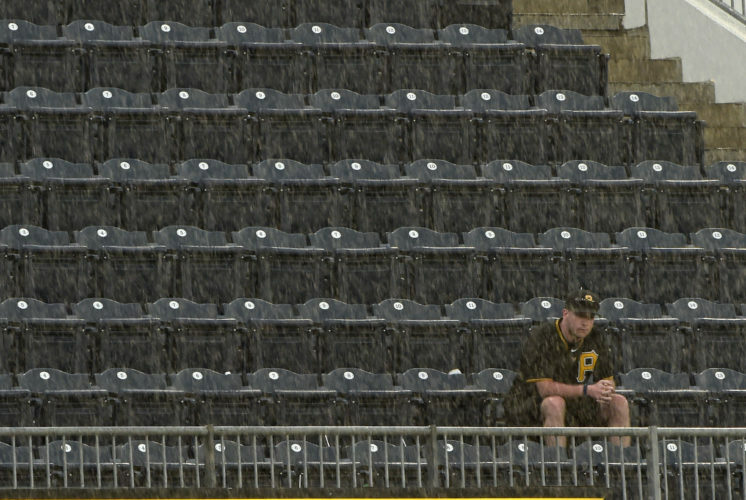 Yet Cole tried to stay upbeat, stressing that if he kept doing his job eventually the lineup would, too. 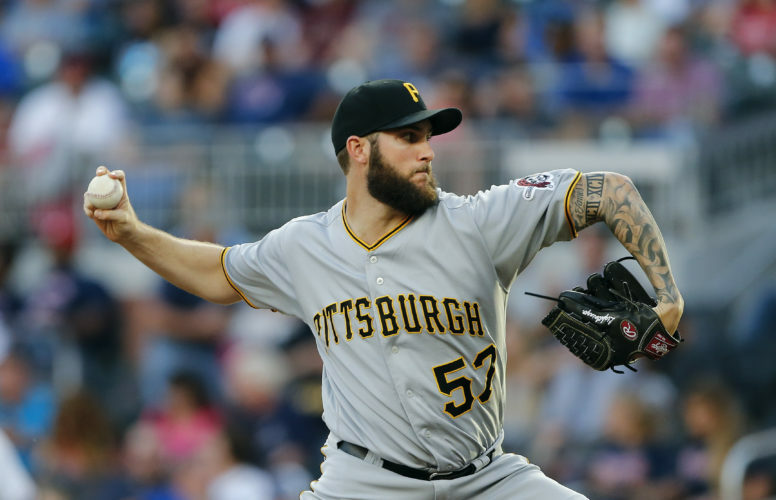 Eventually turned into Wednesday night, when Cole shut down the best offense in the majors and the Pirates broke out late in a 6-1 victory over the Washington Nationals. Cole (2-4) allowed one run on three hits , walked two and struck out three in seven efficient innings to win for the first time in a month. 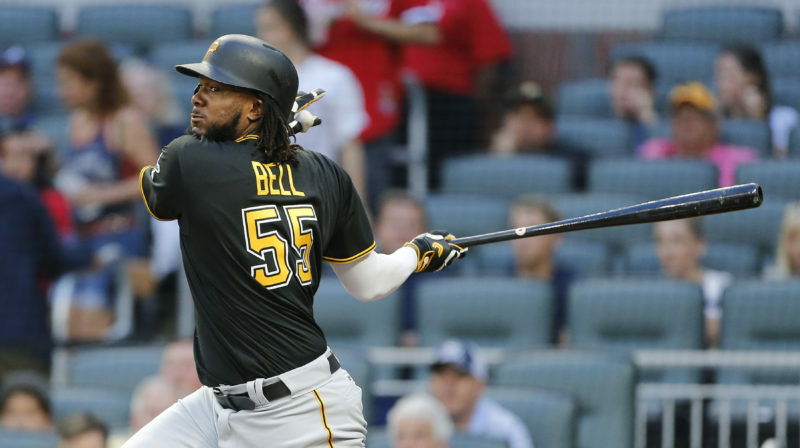 Josh Bell hit a three-run homer off Jacob Turner (2-2) in the sixth and Andrew McCutchen went 2 for 4 with two RBIs and two stolen bases as Pittsburgh slowed the National League’s hottest team. Washington came in leading the majors in runs, batting average and doubles but couldn’t get it going against Cole and two relievers. The Nationals’ three hits were a season low. Bryce Harper and Ryan Zimmerman, who began the day with the top two batting averages in the majors, combined to go 0 for 8. Washington managed just one hit – a bloop single by Jose Lobaton in the third – and three baserunners through the first six innings as Cole kept them off balance. He struck out three and walked two, his lone hiccup coming on Brian Goodwin’s RBI double in the seventh. “He had everything working tonight and it was the fifth or sixth inning before we kind of went ‘what happened? '” Washington manager Dusty Baker said of Cole. Turner pitched into the sixth inning in the majors for just the second time since 2014, and Pittsburgh finally got going. John Jaso walked leading off the sixth and Turner hit David Freese with one out. Bell drove a 3-1 offering 398 feet for his eighth homer, the most by a rookie in the National League. Turner gave up three runs on four hits with four walks and a strikeout in 5 1/3 innings. 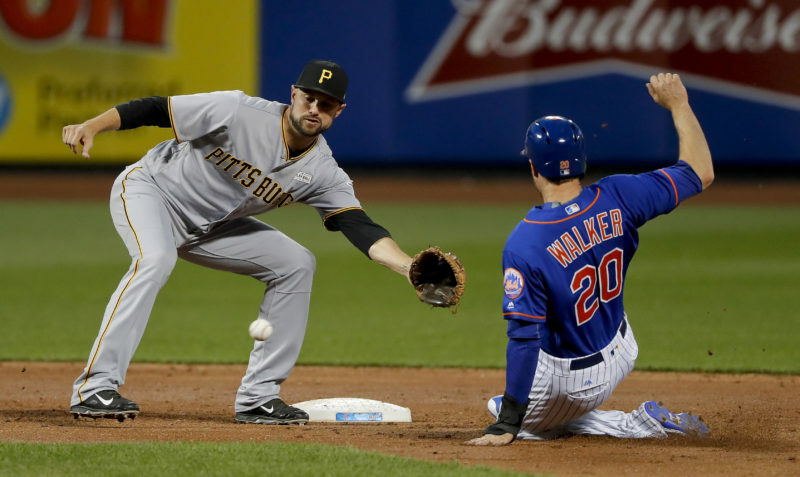 The Pirates added on in the seventh, with McCutchen’s drive to the wall in right scoring two and giving the five-time All-Star a bit of redemption a night after being pulled as part of a double switch in the eighth with Pittsburgh down just two runs. McCutchen also swiped multiple bases in the same game for the first time in three years. Nationals: Placed reliever Joe Blanton on the 10-day disabled list with right shoulder inflammation and recalled reliever Matt Grace from Triple-A Syracuse. Blanton is 0-2 with 9.49 ERA in 14 appearances this season, surrendering six home runs in 12 1/3 innings. Pirates: OF Gregory Polanco was put on the 10-day disabled list with a strained left groin, retroactive to May 15. Pittsburgh called up OF Danny Ortiz from Triple-A Indianapolis. Ortiz made his major league debut as a defensive replacement in the seventh and walked in his first career at-bat. Nationals: Tanner Roark (3-1, 3.88 ERA) looks for his first victory since April 26 in the series finale Thursday. Roark has a 5.40 ERA in his last three starts. Pirates: Tyler Glasnow (1-3, 7.98 ERA) will try to bounce back from a miserable start in Arizona last Friday, when he gave up seven runs in 2 1/3 innings.